We actually (by accident) had both the 2007 (13.5% ABV) and the 2006 (14.5%) on the same evening, as we finished off the Hotel’s 2006 stock! The 2006 was not only slightly more concentrated, but riper and more complete. As might be expected, it was also softer, with better-matured tannins, and a rounder mouthfeel. 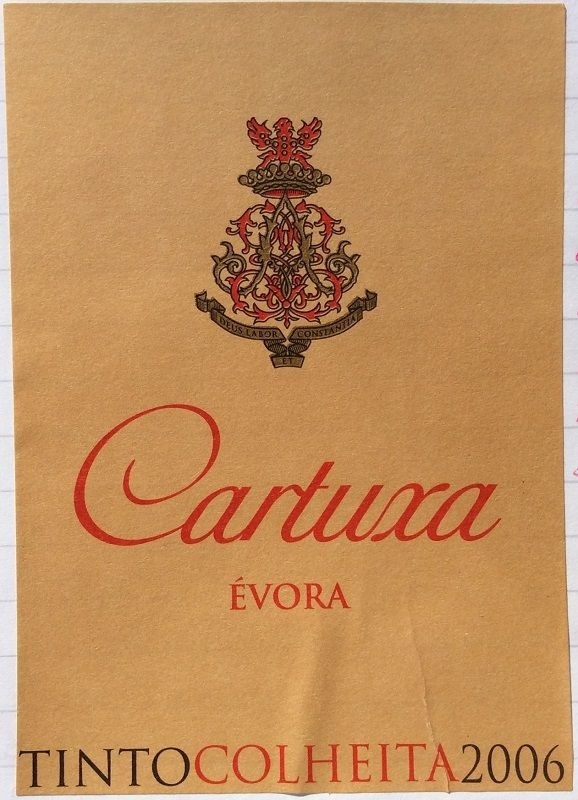 Relative to the Mouchão and Esporão, the Cartuxa ranked second. A mid-depth garnet core – slightly deeper than the Esporão. Fairly intense cocoa-powder and slightly jammy blue & blackberry notes, with a slightly minty touch (greener / leafier on the 2007). A notable acidity, but matured tannins at the finish suggested a wine at maturity. Pretty good length, and a good roast beef accompaniment.